Khum Phaya Resort & Spa - Centara Boutique Collection - San Sai, Chiang Mai, Thailand - Great discounted rates! 8.1 out of 10 based on 1314 verified user reviews via Agoda. Khum Phaya Resort & Spa - Centara Boutique Collect is perfectly located for both business and leisure guests in Chiang Mai. The property features a wide range of facilities to make your stay a pleasant experience. Free Wi-Fi in all rooms, 24-hour security, 24-hour front desk, luggage storage, Wi-Fi in public areas are just some of the facilities on offer. All rooms are designed and decorated to make guests feel right at home, and some rooms come with television LCD plasma screen, separate living room, internet access ?ÛÒ wireless, internet access ?ÛÒ wireless (complimentary), whirlpool bathtub. Recuperate from a full day of sightseeing in the comfort of your room or take advantage of the hotel's recreational facilities, including hot tub, fitness center, sauna, outdoor pool, spa. Khum Phaya Resort & Spa - Centara Boutique Collect is an excellent choice from which to explore Chiang Mai or to simply relax and rejuvenate. 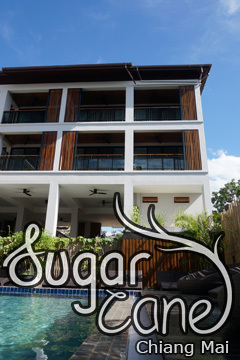 The property provides shuttle service to night markets and Central Festival Chiang Mai. Kindly contact the property for more details. Khum Phaya Resort & Spa - Centara Boutique Collection - Chiang Mai classifies itself as a 5 star hotel.